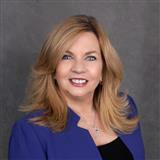 Mary Dougherty, a Real Estate Agent with the Team Dougherty at RE/MAX Properties Unlimited and #1 Morristown agent in 2016 (GSMLS) is a Certified Relocation Professional and Senior Real Estate Specialist who brings over 20years of industry experience to her role. Mary has served as Vice President of Sales for a Relocation Management Company for the North East Region where she succeeded in designing appropriate policies and services for medium to large sized organizations. Prior to that Mary consulted in the Global Relocation Services for 10 years in where she supported clients with designing the appropriate policies to assist in Assessing, Supporting and Retaining Global Talent before, during and after their assignments. Mary's expertise lied within Destination Services, Cross-Cultural Training and Expatriate EAP. Ms. Dougherty has been featured in the who's who of Morris County Daily Record and is an esteemed presenter delivering webinars and lunch and learns to keep her clients abreast of the rapid changes in the relocation industry. Most recent topics have been “Linking Talent Management to Global Mobility” and “Cultural Nuances”. Team Dougherty is ranked as one of the highest Selling-Team in NJ. So if you're thinking of buying, selling, renting or relocating, contact Mary Dougherty, the certified SRES® in your area for specialized help with your real estate transaction.